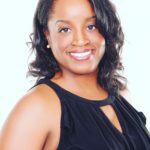 Denitra L. Gaines is a Licensed Professional Counselor who earned her degree in Marriage and Family Therapy from Liberty University with a focus on women’s issues. She had a non-traditional path to the world of therapy having also worked in theater, film and television, but believes these experiences have only enhanced her commitment to supporting individuals experiencing life’s’ struggles. She enjoys partnering with people wherever they may be in life and help them carve out the path that leads them to discover their best life. Denitra enjoys working with individuals, couples, women and families. She is excited to bring her enthusiasm and varied experiences to the table. Denitra provides a safe and supportive environment as individuals navigate some of their more challenging life experiences on the path to a more fulfilling existence. She has training and extensive experience in treating Depression, Anxiety, Mood Disorders, Bipolar Disorders, substance use issues, dual diagnosis, Borderline Personality Disorder, relationship and family issues, life changes, adjustment concerns and Trauma. Denitra has also led an Intensive Family Interventions team where she was responsible for crisis planning, individual and family therapy for individuals and their families who were at risk of immediate out of home placement (hospitalization or incarceration) due to suicidal ideation or behavioral and mood disorders. Denitra believes in partnering with clients to create a unique and empowering experience that leads to life changing moments to carry them forward. Through a supportive and nurturing therapeutic approach clients will be able to gain valuable tools for life. It is her goal to bridge the gap between the clients mental, spiritual and physical planes to create a holistic existence for the individuals and their families. Denitra is an active member of the American Counseling Association and the Licensed Professional Counseling Association of Georgia. For the past 3 years she has also been a Lead volunteer licensed professional counselor with “Take This” Out Reach Program during Atlanta’s MomoCon. Take This®, Inc. seeks to inform the gaming community about mental health issues, to provide education about mental disorders and mental illness prevention, and to reduce the stigma of mental illness.